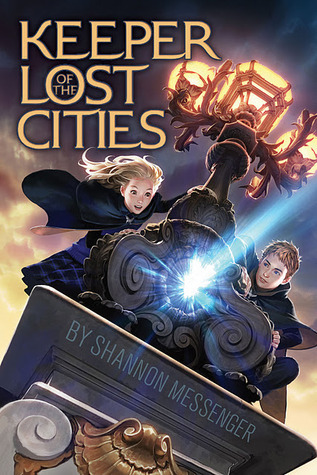 Keeper of the Lost Cities, the first book in an awesome series by Shannon Messenger, is a nominee for the 14-15 South Carolina Children’s Book Award. Sophie Foster has always been a bit different. She’s never had many friends, she doesn’t fit with her family, and she’s always been smarter than everyone around her. When she was five, she discovered that she could hear the thoughts of others. She never told anyone about her telepathic ability, but it seems someone out there knows just how special Sophie really is. When Sophie meets Fitz, her entire world changes. Fitz is the only other Telepath she’s ever encountered, and he reveals that Sophie isn’t exactly human. She’s an Elf, and she definitely does not belong in the human world. In order to keep her human family safe, Sophie must leave everything behind and move to Lumenaria, a land where she’ll learn what it means to be an Elf and how to harness her special abilities. At her new school, Foxfire, Sophie struggles, but she’s slowly figuring out this strange new world, and she’s finally making a few friends. Some Elves, however, are less than happy with Sophie’s entrance into the Elf-world. Some have doubts about her place here, there is concern about her history in the human-world, and no one seems to know how to handle just how powerful Sophie appears to be. Her mind is impenetrable for even the most skilled Telepaths, and, while most Elves display just one special ability, Sophie has several. Why is she so different? What is so special about Sophie Foster? As Sophie tries to piece together the puzzle that is her life, she discovers that her history, abilities, and place in this new world are more uncertain than she realized. Someone in the shadows is manipulating her, leading her on a chase to uncover the truth, but what is the end game? 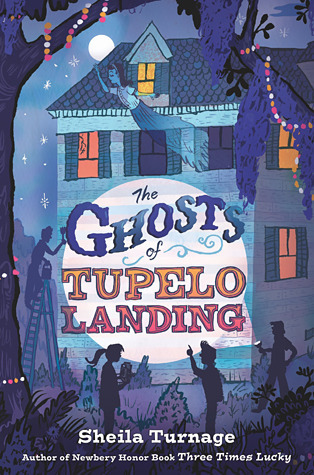 And can she figure out what’s going on before Sophie–and her new friends–are placed in mortal danger? Read Keeper of the Lost Cities and join Sophie as she navigates this unfamiliar, strange world and attempts to find her place in it. 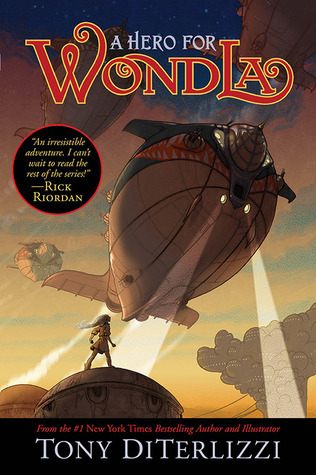 Warning: Read The Search for WondLa by Tony DiTerlizzi before reading this post. That is all. Eva Nine, having traversed the treacherous wilderness of Orbona and experienced the loss of her dear Muthr, is on the verge of yet another adventure. She’s being taken to New Attica, a human city, where Eva is sure she’ll find the sense of home that she’s always longed for. Her trusted alien companion, Rovender Kitt, accompanies her, and he immediately senses that something about this journey is a little “off.” But Eva is too excited about meeting other humans, so she ignores his warnings and heads to New Attica to become part of this seemingly utopian society. But all is not as it seems in New Attica. Eva feels no sense of belonging in this strange city (which is a lot like the Capitol in The Hunger Games), and she soon learns that the city’s leader, Cadmus Pryde, has iron control of the city and all of its citizens…and he wants to control Eva as well. With the help of some old and new friends–and one relative she never knew existed–Eva Nine escapes this city and its mysterious leader. While she’s leaving New Attica, though, Eva learns of a plot to take over the whole of Orbona (the planet we know as Earth). Cadmus Pryde wants to expand his rule and destroy all traces of alien life on the planet. Eva can’t let that happen. But what can one thirteen-year-old girl possibly do to prevent war? I’ll admit that, like The Search for WondLa, it took me a little while to get into this book. Once I did, though, I found A Hero for WondLa to be a delightful book, and I’m hoping I can use it to get more of my female students interested in science fiction. The main character is awesome, and I truly enjoyed seeing how she grew and matured as the story progressed. I know she’ll be even stronger in the third book. If you’d like to learn more about this wonderful series, I strongly urge you to visit http://wondla.com/home/. This is a phenomenal website and even includes an interactive component (WondLa-vision). The Romeo and Juliet Code introduces readers to Felicity Bathburn Budwig, a young British girl who is moving to Maine to stay with relatives for the duration of World War II. Her parents leave her with family members she’s never met, and Felicity doesn’t really know where her parents are going or when–or if–they will return for her. They don’t even write to her…but they do send letters to her Uncle Gideon. Felicity is barely allowed to touch these letters. That, of course, makes her want to know what the letters are hiding. With the help of Derek, a boy who lives with the Bathburn family, Felicity learns that these mysterious letters are codes being sent from her parents. But what do they say? What is the code’s connection to Romeo and Juliet? Do the codes have anything to do with the war that is sure to involve America at any moment? Just what are her parents involved in? And can Felicity and Derek figure everything out–including the mystery surrounding the turmoil in the Bathburn family–before they lose their minds? Discover the truth when you read The Romeo and Juliet Code by Phoebe Stone. 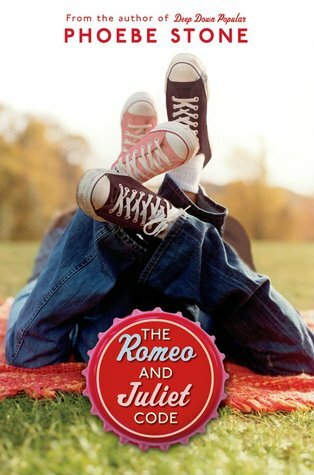 If you’d like more information about The Romeo and Juliet Code and other books by author Phoebe Stone, visit http://www.phoebestone.com/. Eva Nine has spent her life underground with a robot, Muthr, or Multi-Utility Task Help Robot zero-six, as her only companion. She has never met another human. She has never seen the sun or felt rain on her face. But all of that is about to change. When a mysterious hunter destroys the Sanctuary that was Eva’s home, she must flee into a world that Muthr never prepared her for. Above ground, there are odd, carnivorous plants, wandering forests, and creatures that Eva never studied in her lessons with Muthr. The only connection Eva has to those who may be familiar is a picture of a happy girl, a robot, and an adult, and one word–WondLa. In her new and frightening environment, Eva will do everything she can to find WondLa and anyone with a connection to her own humanity. Dangers are all around Eva, and, with the help of some new–and old–friends, Eva will discover just how strong she really is…and how important she is to everyone she encounters. Will she be able to find WondLa? What is it? And what will Eva do when she discovers that not all questions lead us to the answers we expect? Find out when you read The Search for WondLa by Tony DiTerlizzi. Once the action picked up in this book, the story really flew, and I couldn’t wait to see what would happen next. I especially liked how Eva’s character grew, particularly in her relationships with those around her. I also enjoyed what WondLa turned out to be and where it was located. (No, I’m not going to tell you, but be prepared for a bit of a surprise.) I look forward to seeing where Eva’s story takes us in the future. The Search for WondLa is set to be the first book in a trilogy. The second book, A Hero for WondLa, is scheduled to be released sometime in 2012. In the meantime, I strongly urge you to visit http://wondla.com. This is one of the best book websites I’ve seen lately.